China reported far weaker than expected November exports and imports, showing slower global and domestic demand and raising the possibility authorities will take more measures to keep the country’s growth rate from slipping too much. November exports only rose 5.4 percent from a year earlier, Chinese customs data showed on Saturday, the weakest performance since a 3 percent contraction in March, and well short of the 10 percent forecast in a Reuters poll. Analysts say the export data showed that the “front-loading” impact as firms rushed out shipments to beat planned U.S. tariff hikes faded, and that export growth is likely to slow further as demand cools. The customs data showed that annual growth for exports to all of China’s major partners slowed significantly. Exports to the United States rose 9.8 percent in November from a year earlier, compared with 13.2 percent in October. To the European Union, shipments increased 6.0 percent, compared with 14.6 percent in October. Exports to South Korea fell from a year earlier, while in October they rose 7.7 percent. Import growth was 3 percent, the slowest since October 2016, and a fraction of the 14.5 percent seen in the poll. Imports of iron ore fell for a second time, reflecting waning restocking demand at steel-mills as profit margins narrow. “The sluggishness in imports and exports is in full swing,” said Wang Jun, chief economist of Zhongyuan Bank in Beijing. The soft imports “show a relatively significant pullback in domestic demand”, he added. In recent months, Chinese exports had expanded robustly, which economists said reflected front-loading of cargoes before a now-postponed plan to hike U.S. tariffs of $200 billion of Chinese goods to 25 percent from 10 percent on Jan. 1. 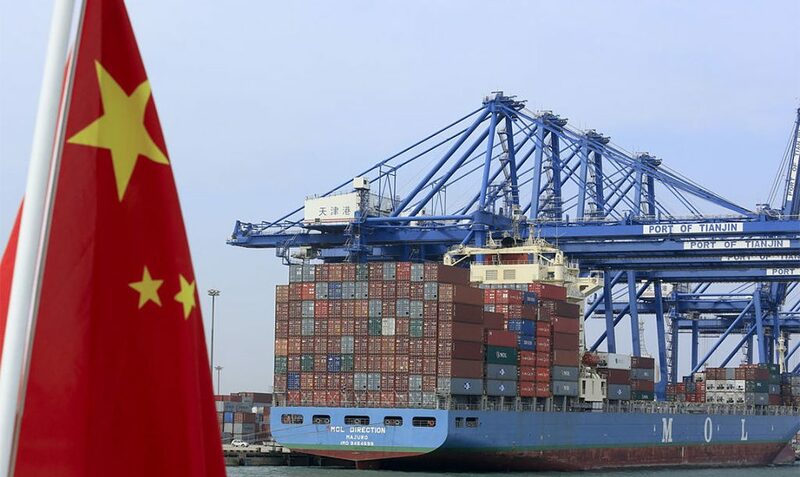 The November trade numbers came out less than a week after Presidents Donald Trump and Xi Jinping agreed to a 90-day truce delaying that tariff hike as they negotiate a trade deal. November’s China numbers might add a sense of urgency. Stirring fears of a reignition of trade tension, the daughter of Huawei Technologies’ founder, a top executive at the Chinese technology giant, was arrested in Canada on Dec. 1 and faces extradition to the United States, threatening to drive a wedge between the U.S. and China. Premium domain and niche websites for sale. Amazing loads of excellent data. What is a good spider repellent?